Cooking for a living wasn’t something this bearded 26-year-old intentionally set out to do, but it didn’t take long before Niall discovered a real affinity for kitchen life. After several enjoyable years behind the stove at the various village pubs of Hampshire, Niall fancied a slice of a life abroad and so left behind his rural roots to become a chalet chef in French resort La Plagne. Despite the ceiling on developing his skill-set, Niall was sold by the seasonnaire lifestyle. Pining to spend a summer by the sea, he found his next job on the little-know Channel Island of Alderney at popular island restaurant run by Fish & Pips co-founder Holly Chandler (The Fish), The Georgian House. It was Niall’s time on ‘the rock’, as it’s also commonly known, where he ended up spending three consecutive summers and which led him to a season with Fish & Pips. 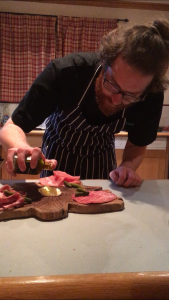 Now a F&P veteran and working his third season for the company in 10 bed Chalet Tourterelle, which has been his kitchen home since day one, Niall never stops experimenting with new dishes and flavours. Pictured above – the view from Chalet La Tourterelle – photo credit @osborneniall! 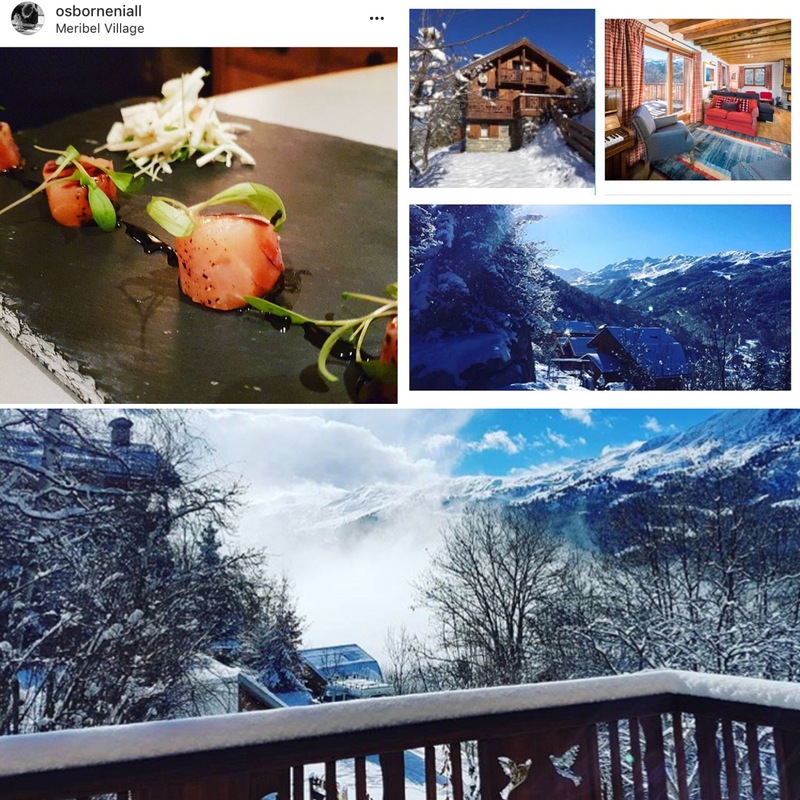 A fan of the quieter life, being situated in Meribel Village is the ideal spot for this born and bred country boy who particularly enjoys the community village vibes. If he’s not carving up the piste Niall can typically be found chewing the fat in village pub The Lodge Du Village. And days when he doesn’t fancy a ski? Niall’s discovered a rather unconventional way to whittle away the hours in the Meribel Valley. A massive fruit de mer. I love seafood and shellfish. I could quite comfortably go pescatarian. If you could ski to one album? If you could only drink one après drink forever more? Ski resort or beach resort? Ski resort. Chef you’d most like to work for in the world? Best dining experience of your life? An amazing restaurant in Venice called Il Ridotto. It does classical Venetian food. The place was so light and bright and I drank the best champagne cocktail I’ve ever had in my life. Margaret Thatcher, P.Diddy, Tom Hardy and Trevor McDonald. Plans for after the season? Go down to Antibes and work on a yacht. Still travelling the world, working as a chef, living the dream.